Back in 2010, Jonathan Franzen wrote an investigative report for The New Yorker magazine called Emptying the Skies. The subject was a group of environmental activists who put their lives at risk to protect increasingly endangered species of migrant birds that are hunted in Europe for sale at high prices. The piece was a hit and granted renewed attention to an issue that Europe, particularly Cyprus, Italy and Malta, has been dealing with for decades. Douglas and Roger Kass’s eponymous new documentary takes it cue from that article and follows the activists on their dangerous trips to the birds’ hunting grounds. 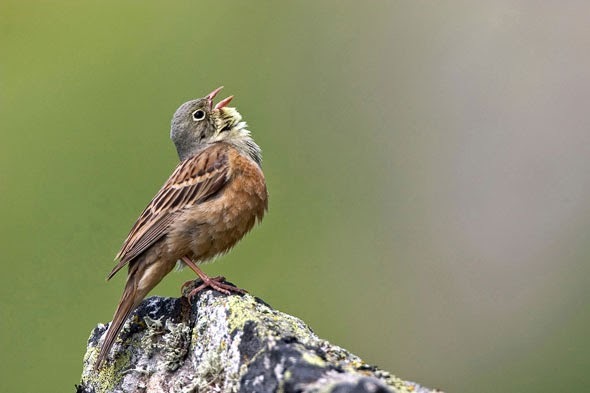 The wondrous migrant birds travel thousands of miles every year, often going all the way from Scandinavia to South Africa, resting and refueling around the Mediterranean area. Their energy and migration process is nothing short of a miracle. Some of the birds weigh as little as twenty grams and measure barely two inches in length. They are hunted using cruel methods like limesticks and crushing stone traps. The birds often suffer for hours in pain before they are dead. These methods of hunting are ostensibly employed for personal use – since sale of these birds for food consumption has been outlawed in most of Europe – or otherwise for “recreation”. In one outlandish sequence, a man comically sheds alligator tears, arguing that he needs to hunt the birds because it reminds of the time he spent with his deceased son doing the same. In reality, the birds are sold and served as incredibly expensive delicacy, often eaten whole with the bones. Battling this cruelty is a group of volunteer fighters from Italy who sneak into the areas where the birds are trapped and release them, or pre-emptively remove the traps. As Franzen argues in the film, their work doesn’t present the easy black and white moral comparison to the hunters that one might assume. They illegally enter private properties and often resort to force to defend themselves. Still, their lives are at risk for the cause. In one chilling sequence, we see them targeted in the dark of the night as hunters mistake them for animals. In countless other instances, they are threatened with violence if they continue their work. These interactions make for a fascinating look at the lengths these men are willing to go to save the environment. Yet, for all that is noble and interesting about the film, there is an inescapable feeling that beyond offering a visual accompaniment to Franzen’s original article, there isn’t much purpose to Emptying the Skies. Although there is nothing offensively bad, there is nothing challenging or particularly good about the film either, which makes this simultaneously the hardest and easiest type of documentary film to praise and pan. The moving subject matter lends itself to a film with emotional gravitas but of little cinematic value, the type of film that makes its intended visceral impact on the audience, but rests too comfortably on the nature of its subject to attempt cinematic innovation. This is an informative, competently produced film, of interest to an audience who finds reading a long article too dull, but is still curious to learn about the atrocities man commits against the planet.